Since Kerala has a long coastline, fish is available in plenty. 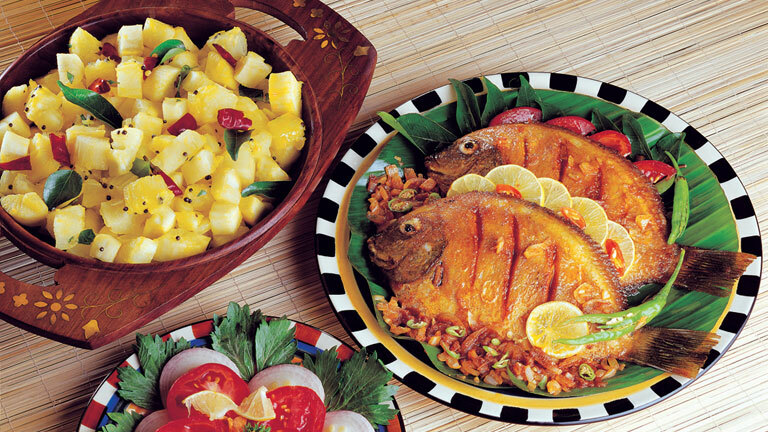 Fish is rich in calcium and animal proteins and it is eaten with rice, fried or cooked in gravy. There is an abundance of fish recipes nowadays.